Share Great Tuesday morning to all! Here's another Fierce Find I would like to share to my readers. 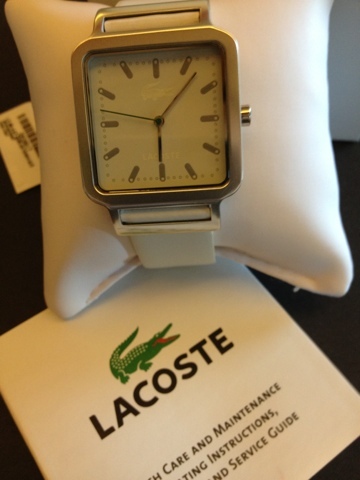 It's a Lacoste watch that is flexible and can be worn during semi-formal to casual get-up. 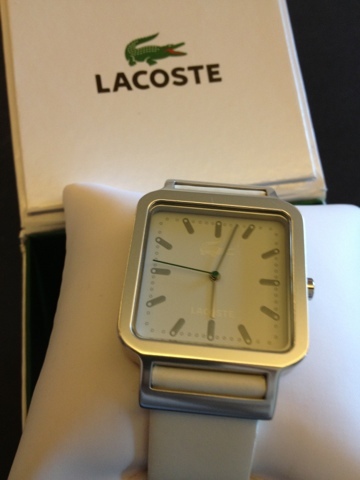 Water resistance: 50 meters/165 feet. Warranty: Two years from manufacturer. I've learn several just right stuff here. Certainly value bookmarking for revisiting. I wonder how so much effort you put to create this kind of fantastic informative web site.